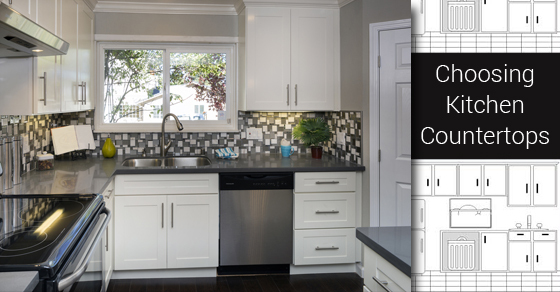 The right countertop can complete a kitchen. It can enhance the environment and provide a functional yet attractive space that highlights the homeowner’s discerning décor tastes. For homeowners about to renovate their kitchen space, this means choosing a countertop is an important decision. In this blog, we’ll highlight several materials and provide an overview on the advantages the products have when used within the modern home. These quartz surfaces are available in a distinct range of colours, and therefore have an advantage over traditional kitchen countertop materials such as granite. The nonporous surface is considered optimal for homes in which large families reside as the product resists staining and scratching. Most manufacturers will offer a lasting warranty on an engineered stone countertop product. For homeowners seeking a quick and cost-effective solution to their countertop challenges, laminates are usually the preferred choice. Laminate products are available in a complete range of colours and design styles. Additionally, the latest laminates are designed to resemble more costly products such as granite and hardwood. If you’re redesigning your kitchen with the intention to sell, homeowners should consider the value of a home resale when choosing laminates. If the home is potentially going on the market in the near future, granite and marble countertops will likely present a greater return on investment. Ceramic tile options are nearly endless within the current marketplace. There are many different design styles and textures from which to select. Ceramic tiles also offer design flexibility, in that they can be used for flooring within bathroom and kitchen spaces. One important consideration for ceramic tile, however, is the grouting work involved in the integration process. Ceramic is also prone to cracking and this might be problematic for homeowners with young children. Easy-to-clean and sleek in appearance, stainless steel material is a leading choice for those who wish to achieve a stylish and modern appeal within their kitchen space. However, due to stainless steel’s cost and vulnerability to scratches and dents, some homeowners may prefer to use the product only within a specific area of the kitchen rather than using it for the entire countertop space. Many feel granite countertops are too expensive for their current renovation budgets, but granite actually comes to market in several different grades. Depending on the grade of the granite and the thickness, prices can range from $25 per square foot to $1,000 per square foot. This means there are various product options for every type of budget. Granite countertops can add immense value to a home property, and can be simply cleaned using warm water. However, because each piece of granite is unique, homeowners integrating granite countertops will find it difficult to achieve a uniform appeal throughout their countertop area. The decision on which kitchen countertop material to use is a personal one that must include various factors, including price, style and durability. To learn more, contact our team today!